Phyllis Trible (1932- ). Originally from Virginia, Phyllis Trible earned a B.A. degree at Meredith College and then the Ph.D. from Union Seminary/Columbia University (1963) with an emphasis in Old Testament. By the time she earned her Ph.D., there were regularly 300+ women enrolled at Union Seminary—but women were still not correspondingly visible in the faculty. Trible taught at Wake Forest University and Andover-Newton Theological School before being appointed Professor of Old Testament at Union, and later the Baldwin Professor of Sacred Literature (1980). She became the first woman to hold that post. 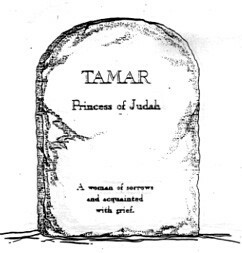 Trible has become a leading authority on what is now known as feminist interpretation of biblical texts, as well as literary and rhetorical methods of biblical criticism. She is an internationally known lecturer, and also has served as president of the Society of Biblical Literature (1994). Professor Trible left Union in 1998 to pursue a deanship at the new Wake Forest School of Divinity in Winston-Salem, NC. 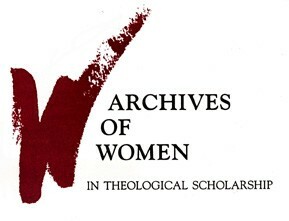 Her papers constitute the inaugural collection of the Archives of Women in Theological Scholarship. Phyllis Trible is the author of what are considered to be two of the groundbreaking works in feminist biblical scholarship: God and the Rhetoric of Sexuality and Texts of Terror. 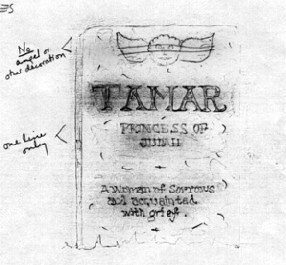 Her indebtedness to her teacher at Union, James Muilenberg, is acknowledged in her book Rhetorical Criticism: Context, Method, and the Book of Jonah, where she develops his idea of 'form criticism and beyond.' 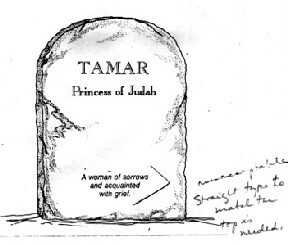 She also contributed Jonah to the New Interpreters' Bible Commentary Series, appeared on television as part of Bill Moyers's PBS special "Genesis," and has written numerous articles, book reviews and columns for various publications. 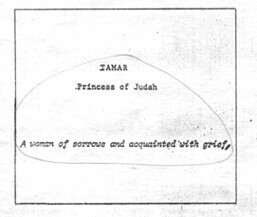 In 1994 she was a lecturer at the Smithsonian Institution as a part of the "Feminist Interpretation of the Bible" symposium. 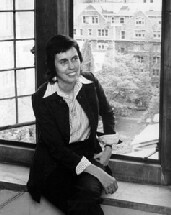 Phyllis Trible became the fourth woman to hold a full professorship at Union on April 16, 1980—one day after Christian ethicist Beverly Wildung Harrison, several years after psychiatrist Ann Belford Ulanov (1974), and twenty years after the first and only previous biblical scholar, Mary Ely Lyman. 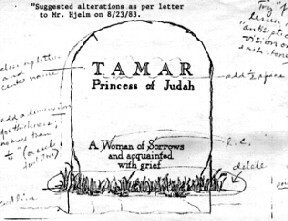 Pictured here is a graphic example of the diligence with which Trible conducts her scholarship: the genesis of the tombstone illustrations for her book Texts of Terror, based on the Lyman Beecher Lectures she gave at Yale Divinity School in 1982 and designed, in her words, "as a companion to God and the Rhetoric of Sexuality."